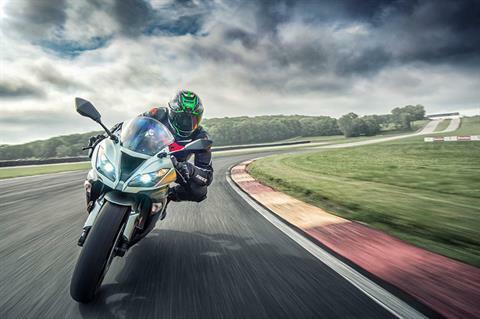 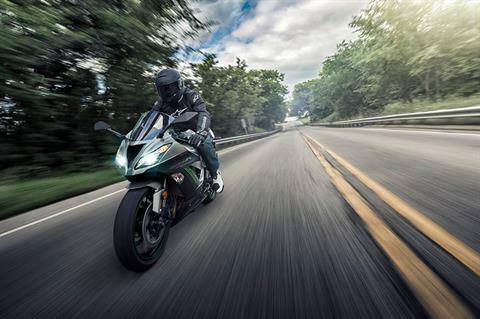 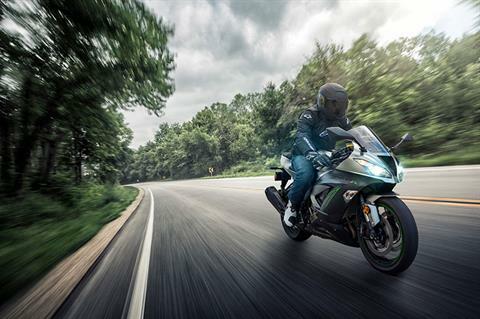 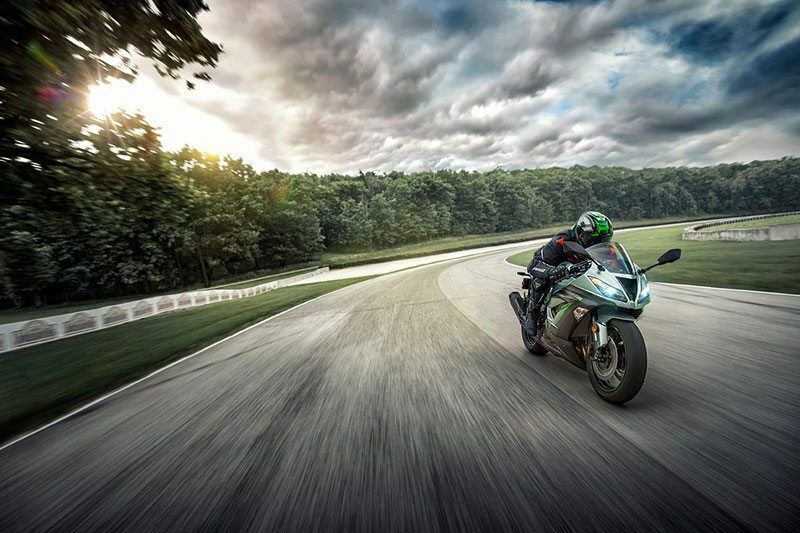 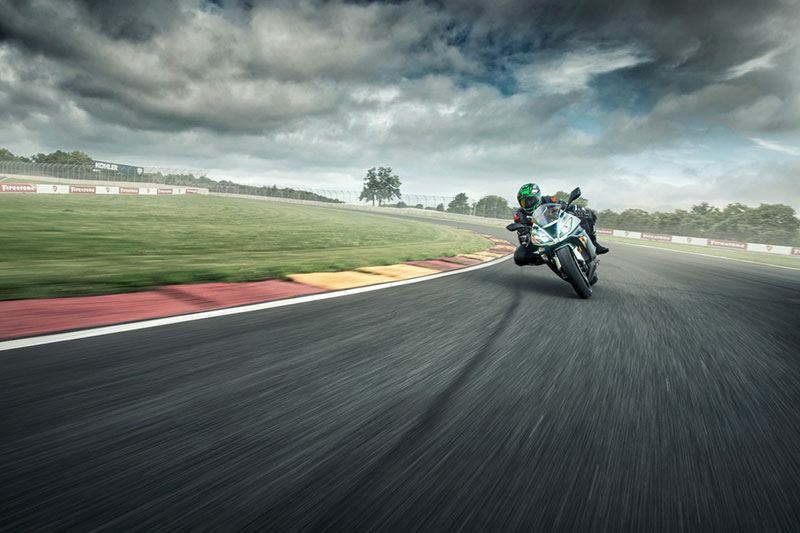 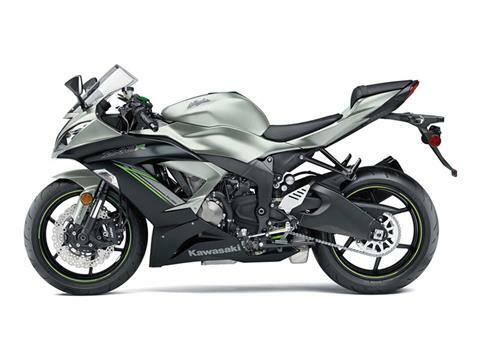 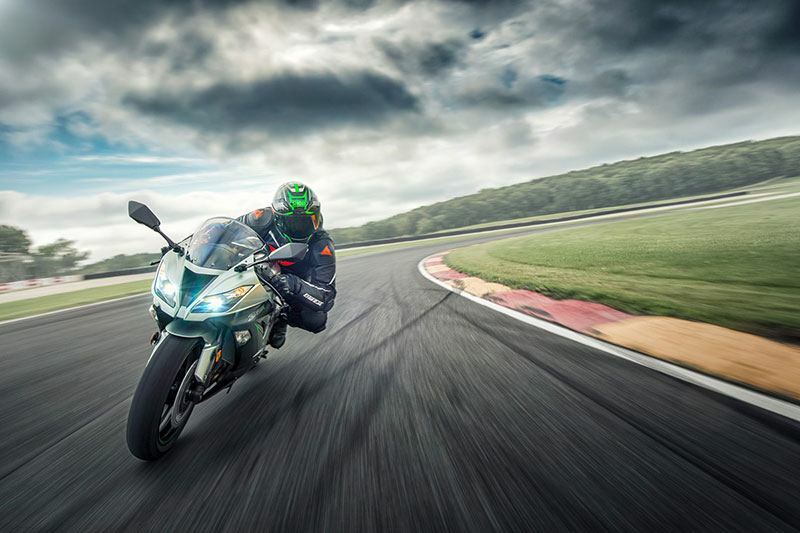 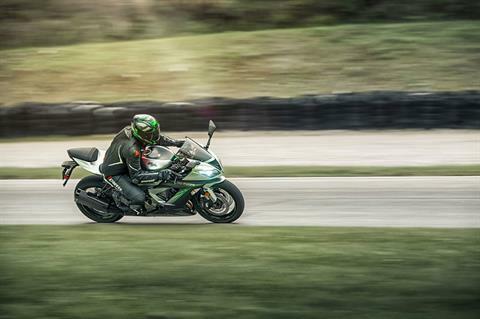 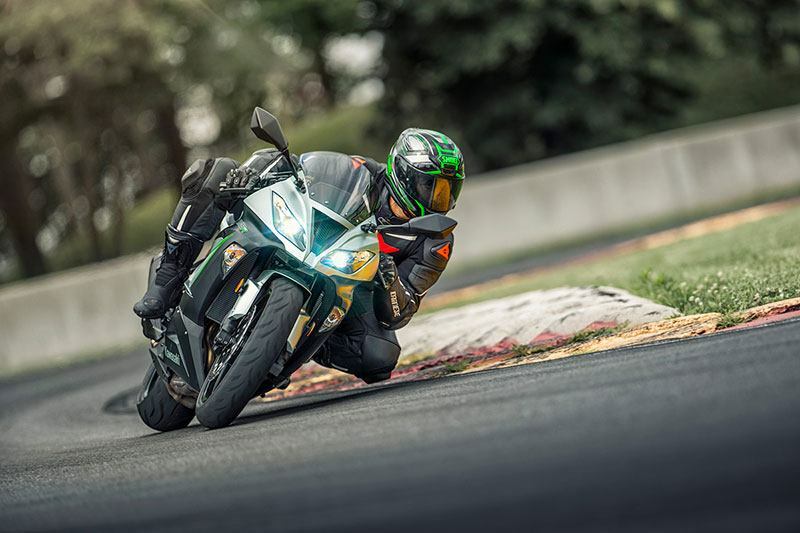 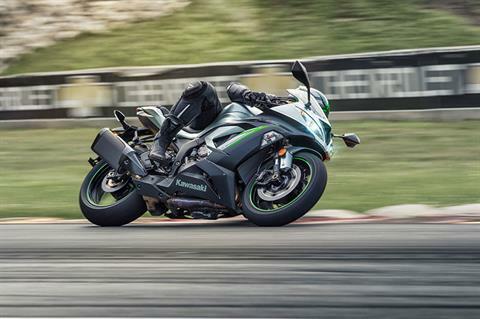 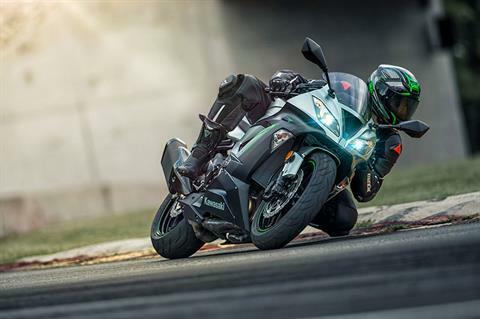 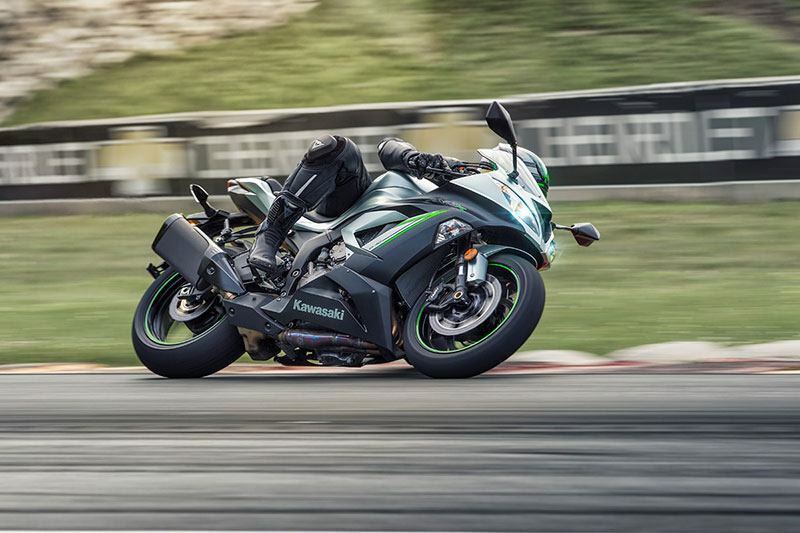 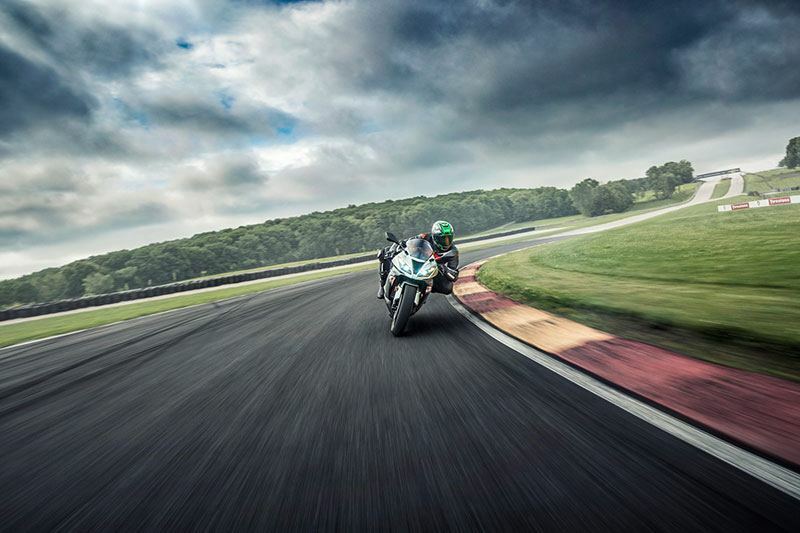 WORLD SUPERSPORT CHAMPIONSHIP TECHNOLOGY COMES TO THE MIDDLEWEIGHT CLASS WITH THE NINJA® ZX™-6R. 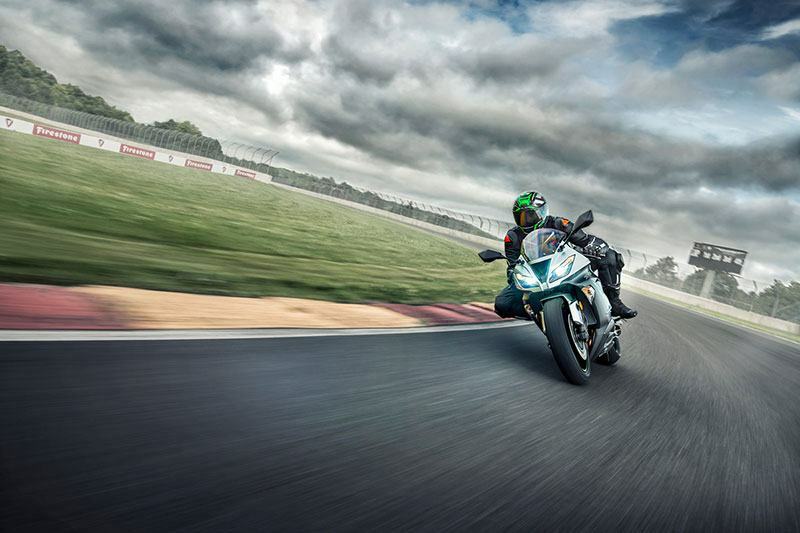 636 cc inline-four engine offers racetrack-ready power yet extremely flexible delivery on the street. 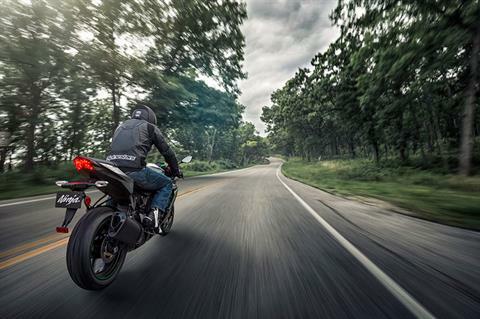 3-mode KTRC traction control tuned to cover a wide-range of riding situations and conditions. Showa Separate Function Fork Big Piston (SFF-BP) offers broad adjustability and progressive damping. 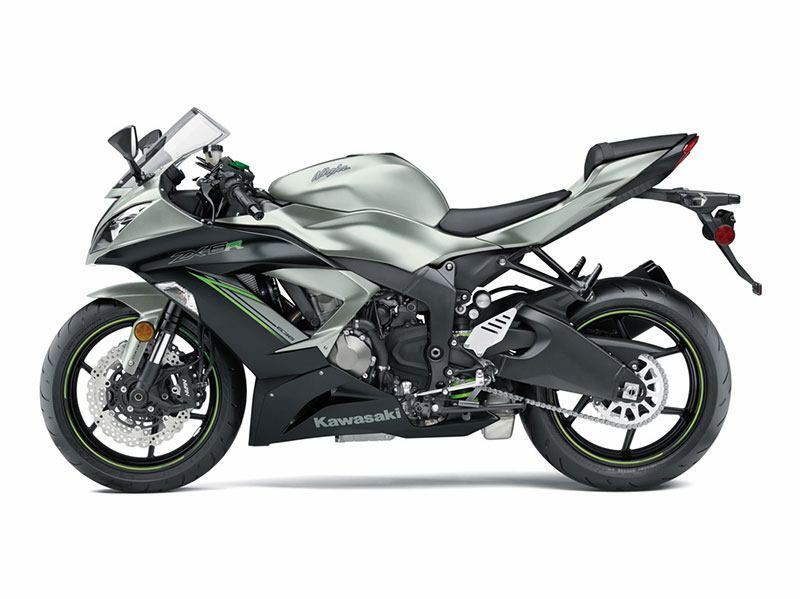 FCC clutch with assist and slipper functions offers light clutch pull and minimizes wheel chatter caused by aggressive downshifting. 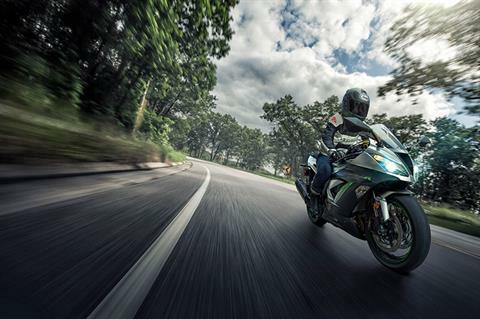 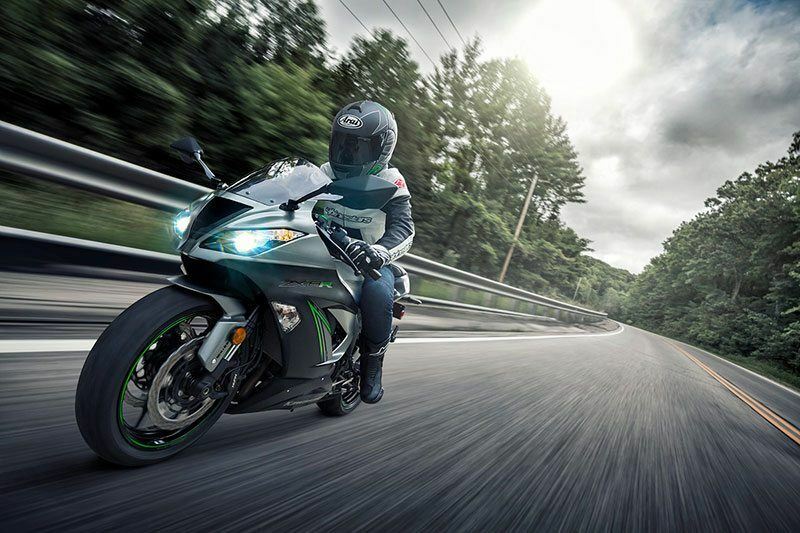 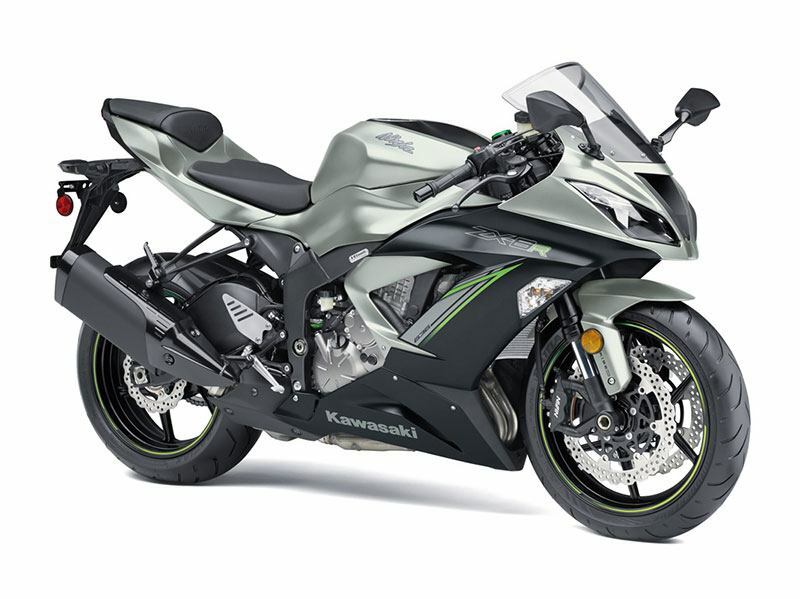 Kawasaki Intelligent anti-lock Brake System (KIBS) ABS with monobloc calipers assists braking under certain conditions. 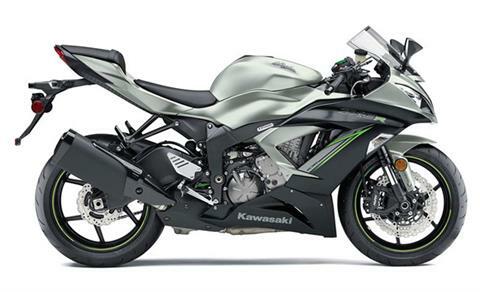 Front - 41 mm inverted Showa SFF-BP fork with top-out springs, stepless compression and rebound damping, adjustable spring preload; Travel - 4.7 in. Rear - Bottom-link Uni-Trak® with gas-charged shock, stepless compression damping adjustment, 25-way adjustable rebound damping, fully adjustable spring preload; Travel - 5.3 in.